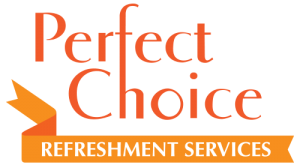 Since 1984, Perfect Choice Refreshment Services has been committed to providing the best office coffee products and vending services, and all-in-one snack centers, ensuring that the ultimate choices can be made by who we value most: you. We also offer water filtration systems and complete breakroom, paper and janitorial supplies. Combined with our diligent delivery service, we are a versatile powerhouse, offering a complete refreshment solution for any workplace, hotel, dealership or school. Are you looking for a healthy way to keep your employees productive and energized? Perfect Choice has a complete line of delicious and healthy snacks and refreshments to keep your team on-site and more productive. With our unique breakroom micro-market service we can create a self check-out snack, food and beverage station at your location.